What's Poppin' Tonight! 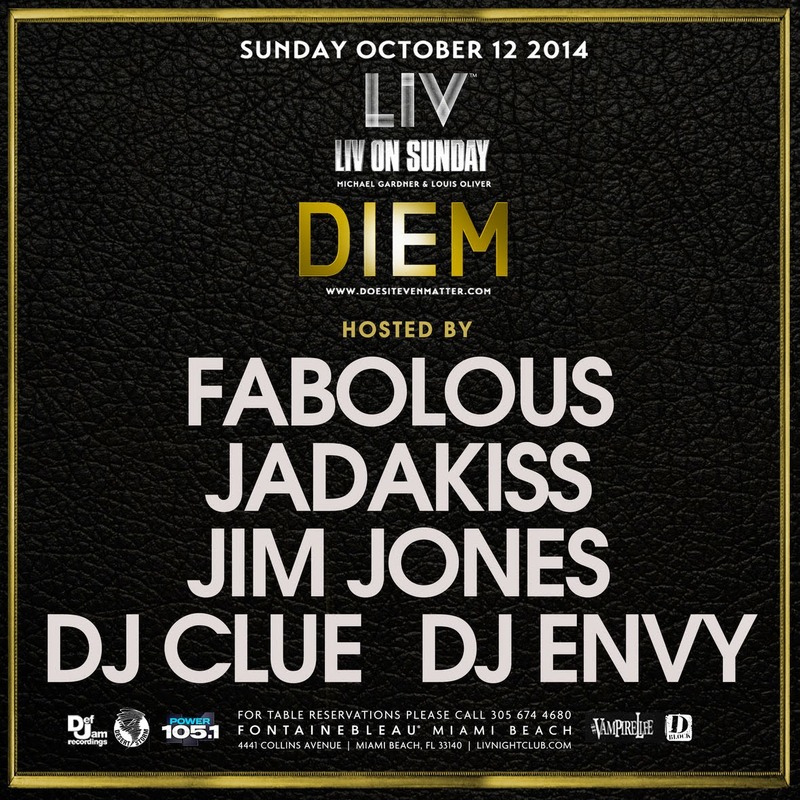 LIV Miami & Headliner Market Group presents DIEM Hosted by Fabolous, Jadakiss, Jim Jones DJ Clue & DJ Envy at LIV Nightclub #LIVOnSunday ~ Phresh Hott New! LIV Miami & Headliner Market Group presents #LIVOnSunday “The Best Party in the World” DIEM hosted by Fabolous, Jadakiss, Jim Jones, DJ Clue and DJ Envy + More Fun at LIV Nightclub.